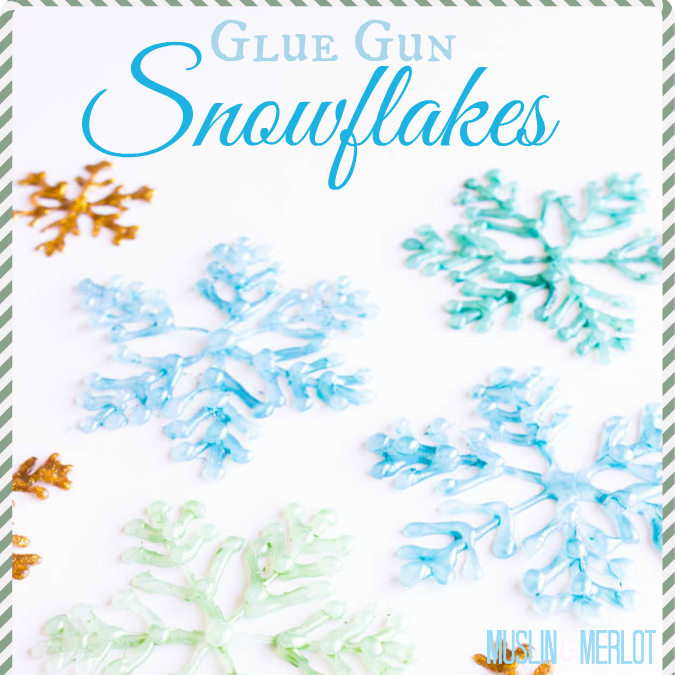 Make these pretty Glue-Gun Snowflakes to decorate your holiday table! Fun project for your teen or tween :-). 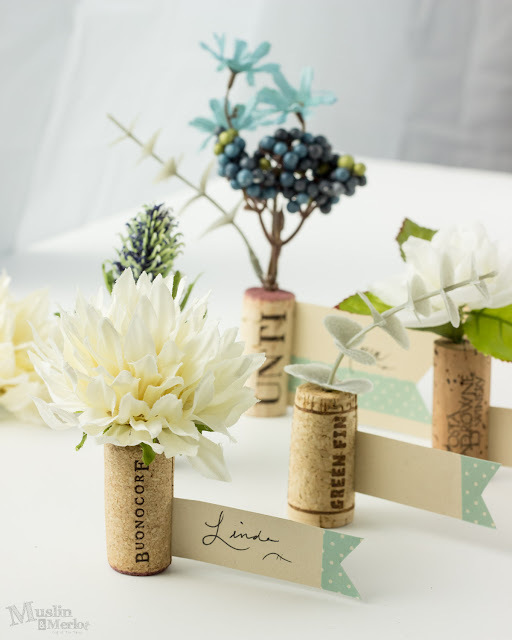 These would also be great for a Frozen party! Use blue nail polish to tint the stars! 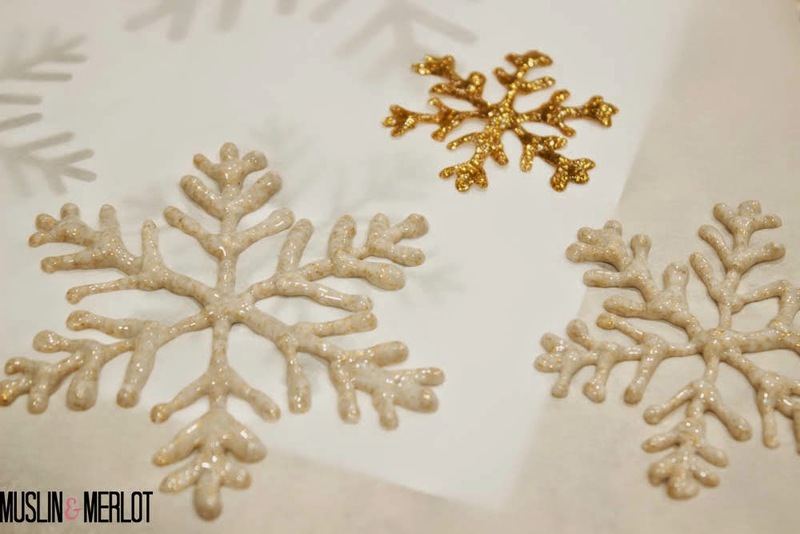 Bethany of Pitter & Glink made even prettier, glittered hot glue snowflakes years before I knew such things existed! Check out her post by clicking HERE! 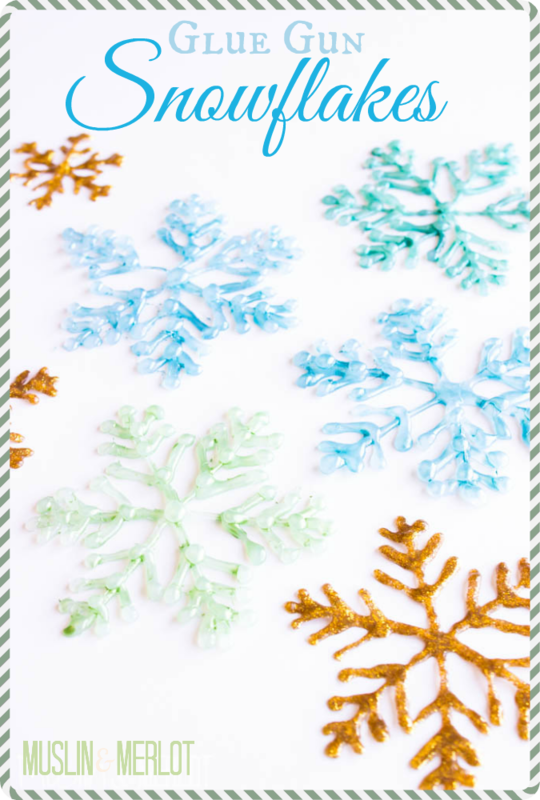 Get the free snowflake printable HERE. 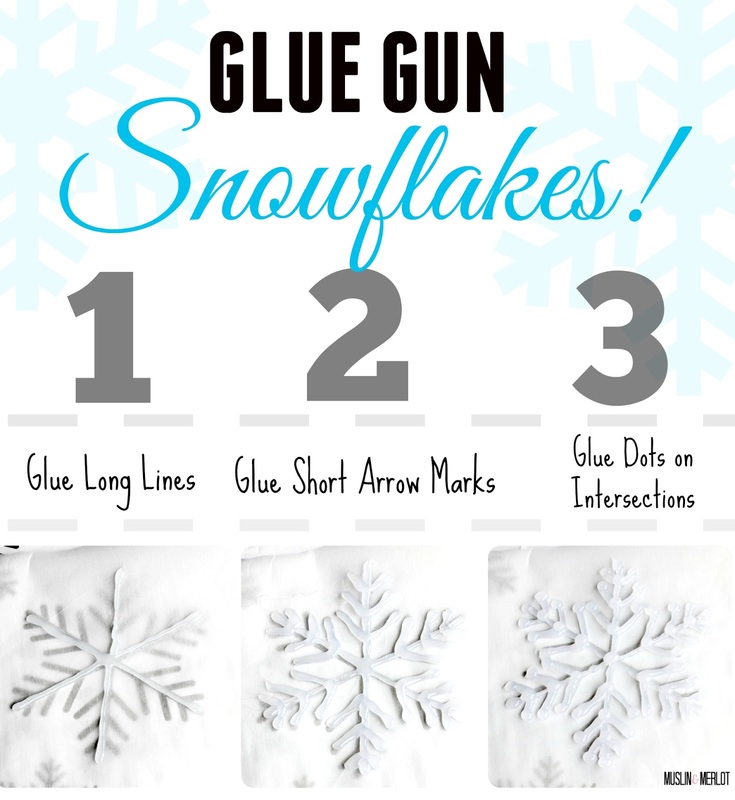 Use the printable as a template (or make your own original snowflake!). Place the printable UNDER the parchment paper. Trace the lines with a glue gun in the order shown below. Get rid of excess glue strands with a blow dryer! Just hold it in place and let the heat do its job. Carefully peel the snowflake off of the parchment paper. 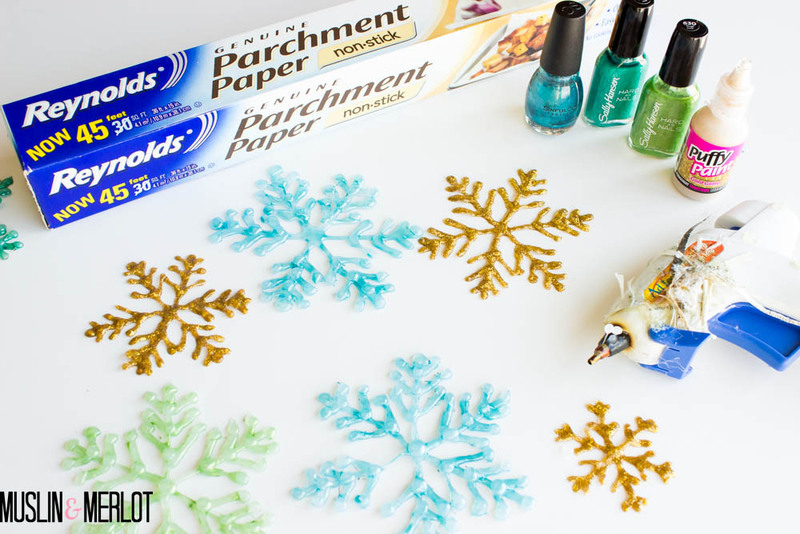 The parchment paper can be reused for the next snowflake :-). 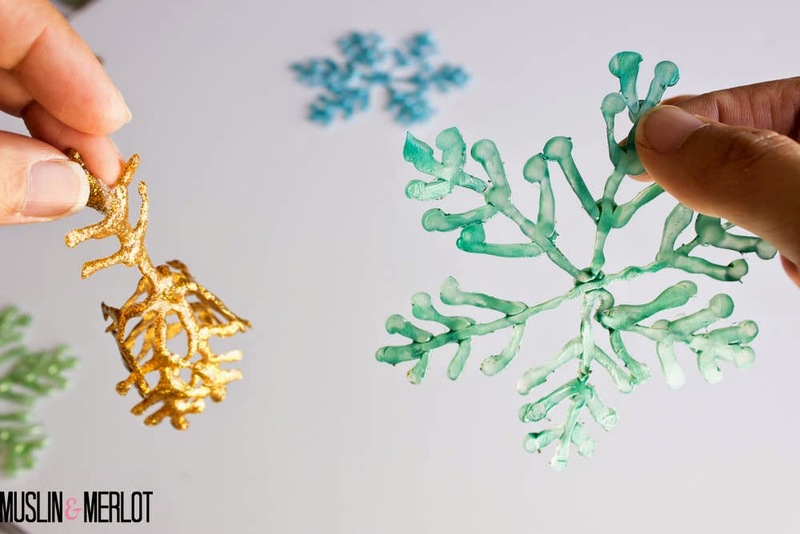 Paint both sides of the snowflake with nail polish! Strong jewel tones work best. This project can also be done with Puffy Paint. Trace the shape onto parchment paper and let dry overnight. No nail polish needed! 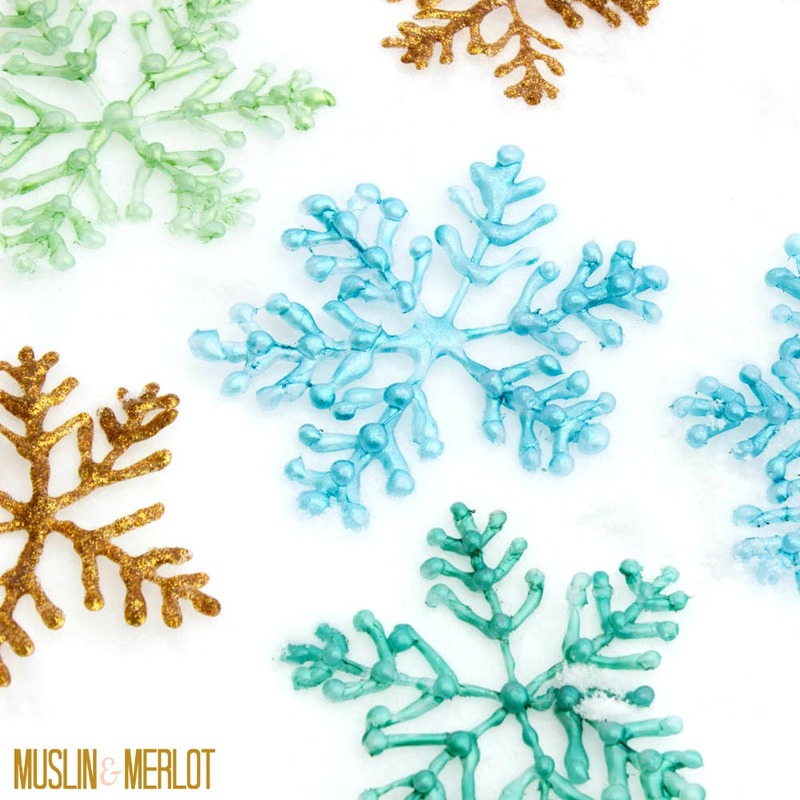 Lay these snowflakes on your holiday table! So pretty against a white table cloth. Hmm. Blogger is automatically darkening my images. I uploaded this same photo to craftgawker (sans watermark) but the whites are showing up kinda dark in this post. Sad Panda. UPDATE: Thank you so much for the info, Bethany @ Pitter & Glink! I deselected the automatic enhance settings on Google+ and it worked like a charm! MUCH better! I love making glue gun snowflakes! I posted some a couple of years ago on my blog, and people really love them. As far as your photos being dark when you upload them, that's thanks to Google+. There's a setting in Blogger (I can't exactly remember under which tab) that you need to UNselect "automatically enhance images." I was having the same problem for months, and then I found a post about the automatic enhance, and that fixed the problem. Hope it works for you too! Thank you so, so much Bethany Lee! I will check my settings!! Love these but I have found using Glitter Glue works better and is cheaper too. Nail Varnish, especially, Sally Hansen is not cheap here in Australia. Note: You can also trim off any mistakes with a craft knife. scalpel/scissors. I have also used flat back beads attached when the glue is still a little soft (or a blob on the back).This could be the start of something good. Can I use aluminium foil? I did a quick experiment. You can use aluminum foil but it's a little harder. It doesn't release as easily as the parchment paper. Also, you'll need to "freehand" draw instead of using a template since you won't be able to see the template through the foil :-). You Can use silicone baking sheets or any silicone mat would do. I bought mine at the dollar store. I've heard of folks doing this on glass. :) I'd try a test piece for peeling it off before using the fine China or windows! This craft looks so fun can't wait to try it!! If you don't have a fine point tip glue gun it all settles as blobs. These are so fun and festive! I love them! You can also tie a string around the middle and make it a fun little ornament. Do these stick to windows (like gel clings would)? They didn't stick very well to windows :-(. This diy project is amazing! Hello, Friend! I'm a homemaker and crafter non-extraordinaire. I specialize in projects that require minimal effort and result in maximum awesomeness. If I can make it, you can make it! LET'S CRAFT. DIY Frame & Hemp Photo Board! Scenes from the Craft Fair!